Fresh on the scene, the exuberance of Britton Bathrooms shines through in their crisp and balanced product designs, whether in ceramics or brassware. Classic modern design blends harmoniously with minimalist accessories. Contemporary style at a reasonable price. Delivering high quality ceramics at affordable prices, every home, business or public space can benefit from the comfort and style of a Britton toilet. 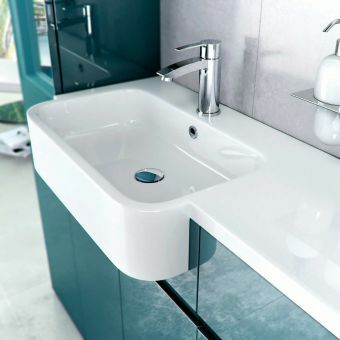 Britton Basins offer the interior a strong and reliable wash space, using geometric forms in chunky styles such as Cube, or the new Fine series of ultra slimline pieces. Cleanly presented in elegant, modern styles, Britton bathroom furniture makes a delightful accompaniment to the contemporary living space. 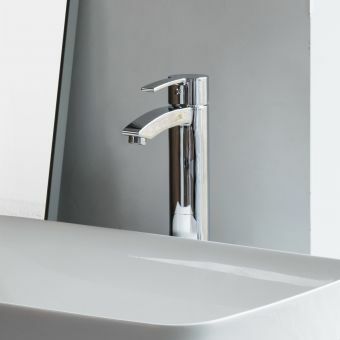 Designer pieces for the stylish, modern interior, Britton taps and mixers add a confident aspect to the basin, bath or bidet, with comprehensive ranges covering all possible requirements. Suitable for use by those facing mobility challenges, Britton Bathrooms comes with a series of options for raised height models. 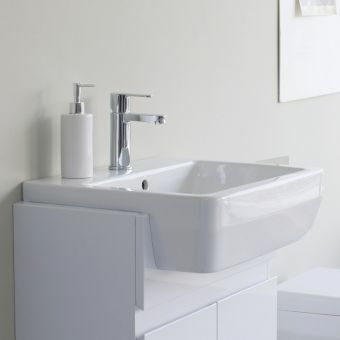 With WC pans and basin pedestals available with raised profiles, the accessible bathroom can be created with both a strong functional aspect and a crisp freshness of style. Easily fitted to the Britton Bathroom basins, these towel rails add a useful and accessible towel storage space. 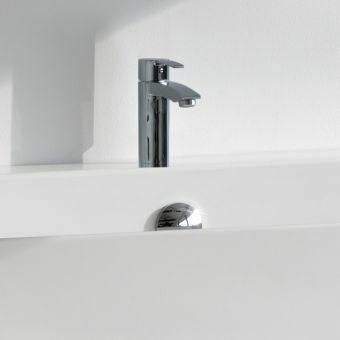 Perfect for maximising the space available, these accessories open up the more compact bathroom via an ingenious use of space. Added as an outer coat to the WC unit, Nano Glaze is a specially formulated treatment that ensures a gloss finish to the product. By applying this to all their WC units, Britton Bathrooms toilets are easier to clean, leading to a more hygienic bathroom environment. Fitted with adjustable flush volumes, Britton Bathrooms toilet cisterns can be altered from a dual flush capacity of 6 and 3 litres, to 4.5 and 2.6 litres for long and short flushes respectively. 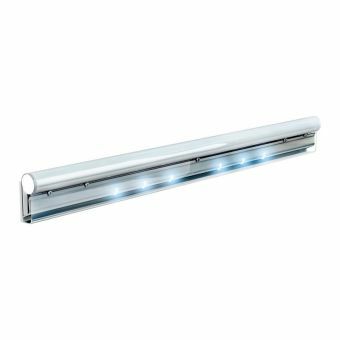 Reducing water consumption on a daily basis, this option gives the user lower running costs and a household that has a lowered environmental impact. 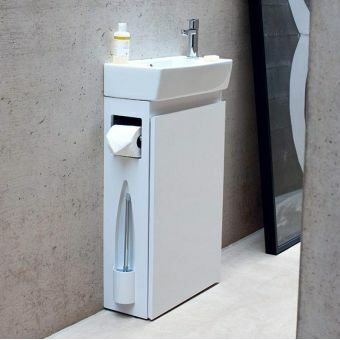 An additional option is to go for their one piece cistern, leading to a more pared down, streamlined appearance fit for the modern living space. While cold water stored in standard cisterns can create unwanted condensation, the addition of the simple but effective anti-condensation sleeve, the outer skin of the unit remains dry. A new designer and a new range, the Britton catalogue of bathroom, cloakroom and en-suite sanitary products are technologically advanced with the second half of the 21st century in mind. 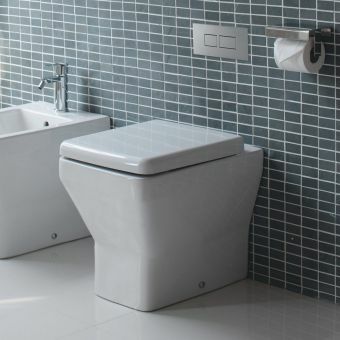 An advantage over some products is that ceramic pieces can be interchanged and all toilet seats can are also interchangeable also, with the exception of the cube range which has square seats. 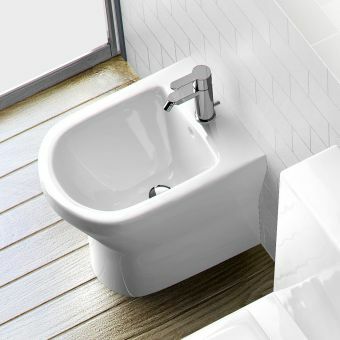 The designer basins are all designed with matching pedestals and importantly all the WC’s are coated with Nanoglaze, which is a ceramic surface antibacterial glaze that ensures bacteria do not build up on the surface and make the WC easy to clean. 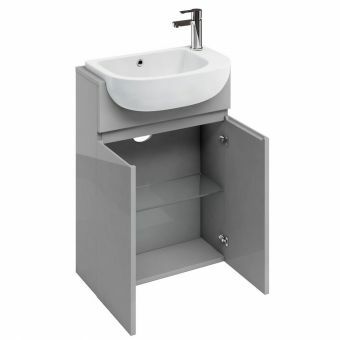 The full range of these exciting products includes a selection of Pedestal Basins, Back to Wall Toilets and Bidets, with Wall Hung or Floor standing options also available. In addition, the Britton Tall S48 collection of comfort height toilets are 6cm higher than most standard WC's, with basins being 5cm higher than most standard pedestal basins, this offers an advantage for taller people or for the less able. The ultra-stylish design of the Britton Bathrooms Cloakroom Furniture will instantly update any cloakroom or en-suite area. 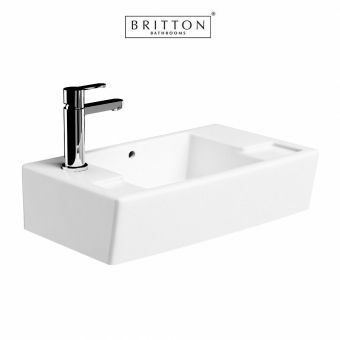 A range of accessories and taps is also available to complete your 21st century Britton Bathroom. For peace of mind, Britton ceramicware carries a full 25-year guarantee and Britton bathroom accessories are covered for a 5 year period. Britton Bathrooms is renowned for its ability to adapt to the new style and design trends and with the introduction of the Fine S40 they have succeeded. As the name suggests, the outstanding feature of this range is the understated elegance of the sharply sculpted lines radiating simplicity and purity. 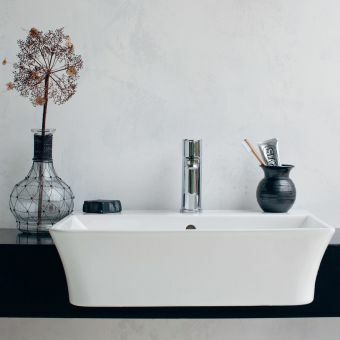 Look further and you’ll see that the family-sized basins are made from the finest materials with 500 and 600mm widths on offer plus matching pedestals which integrate perfectly into the overall look. As an alternative to ceramic, a stunning stainless steel pedestal is on offer creating a single visually appealing unit. 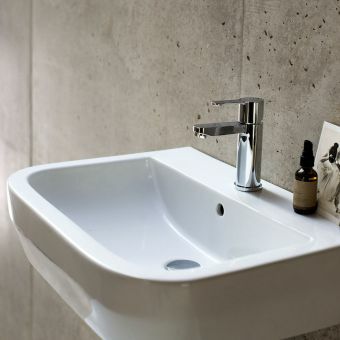 Their countertop semi-recessed basin allows a further foray into modernism revitalising a dated bathroom instantly. 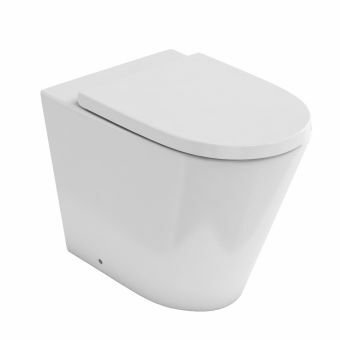 A full range of Fine S40 toilets is available with angled and curved cisterns to match the toilets seats and covers. 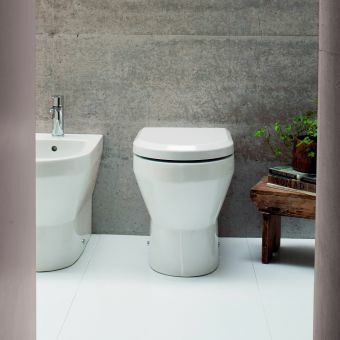 This flexible approach has also paid off with the introduction of back to wall pans only requiring the addition of a cistern or wall frame to give a clean modern look with an affordable price tag. Further innovation comes with the inside of all toilets having the Nano Glaze application as standard making it difficult for germs to stick around for long. A matching bidet completes the collection. The Curve S30 range from Britton conveys a feeling of understated elegance and will bring unique benefits to your new bathroom. The classic looks are equally at home in a traditional or modern setting allowing anyone to match basin and to let with equal ease. All toilets from close coupled to wall hung and back to wall benefit from Britton’s unique patented Nano Glaze acting like wax on a car so dirt and germs simply slip off after flushing leaving your toilet sparkling clean. A matching bidet completes the set and will look sensational sitting side by side with your new toilet. 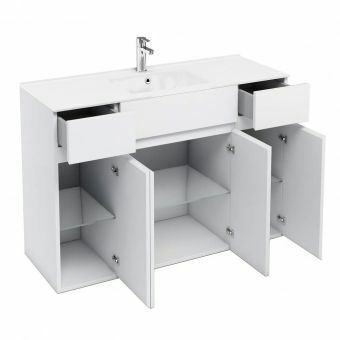 The Curve S30 is happy to be part of a family bathroom benefitting from both 500 and 600mm wide washbasins plus a semi-recessed vanity unit basin is included. A single tap hole with overflow allows you to create a vision by incorporating the latest in tap innovations creating an investment that will last. These modern basins feature a simple elegance that is well proportioned and easy to keep clean thanks to their curvaceous design, curved profiles and elegant sculpted lines. 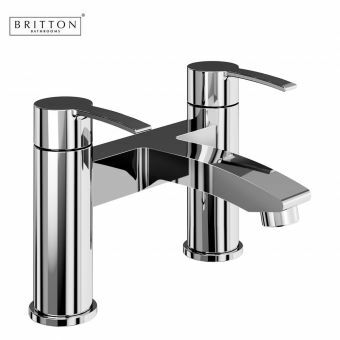 Matching taps, wastes and traps from the complimentary Britton brassware will add the finishing touch without a doubt. Britton cover every aspect of your sparkling new bathroom and very often the taps can make the difference between the ordinary and the spectacular. 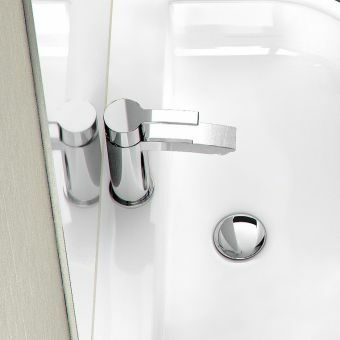 The Crystal range of brassware is a clear example of how cutting-edge design can combine with elegant sculpted lines to meet the lifestyle requirements of a discerning homeowner. The range encompasses every aspect from standard monobloc basin mixers with waste options to a large floor standing bath shower mixer that would grace the most elegant of contemporary baths. A standard ten-year guarantee will make sure you are fully covered should anything go wrong with your new purchase. The sturdy appeal of the taps and waste fittings is further enhanced by knowing they are made from solid brass with a multi-stage chrome plating to repel water ingress at every point. The tall basin mixer will be a perfect match for a countertop basin and the wastes are a perfect match for an array of round and square styled bottle traps. 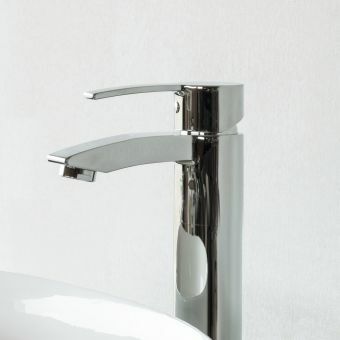 Ease of use is another reason to choose Crystal taps featuring a smooth swivel action. If you strive for quality and perfection then Crystal brassware will transform your bathroom. The Cube S20 range of ceramic ware from Britton has a clean and soft design with straight sides and gently rounded edges. 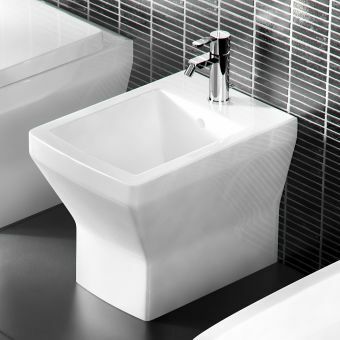 The basin sides have a two-stage profile giving it a distinctive look which appeals to the senses. 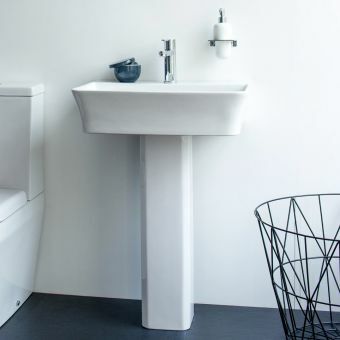 The geometric forms of the basin can be matched with a full-length pedestal or half size trap cover to hide all ugly pipework neatly out of sight. 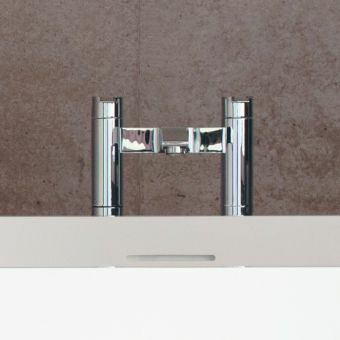 If you are looking for something even more outstanding then substitute white ceramic for a stainless steel pedestal which will make a bold statement, the defining feature of your new bathroom. Should you have fitted furniture, they have thoughtfully created a semi-recessed basin to take advantage of combining washing and storage. 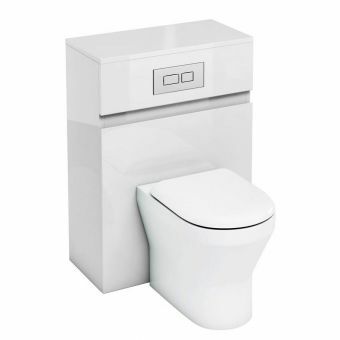 The same attention to detail has been given to the Cube S20 range of toilets and bidets. Utilising the latest technology Britton has created a Nano finish to the inside of their toilet pans to keep them sparkling clean and germ-free. Helping the environment is top of the list for any manufacturer and their close coupled toilet helps save water and money on every flush. 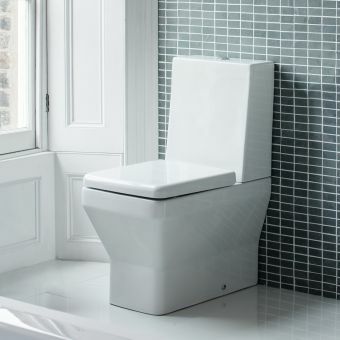 Wall hung and back-to-wall toilets also form part of their innovative product range which is completed by the addition of a choice of standard or soft closing toilets seats with matching covers. 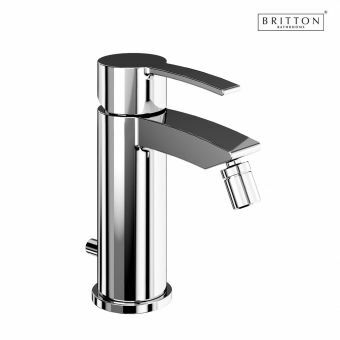 Striking design and clean lines accentuate the sharp modern looks of the Britton Sapphire range of taps and accessories. 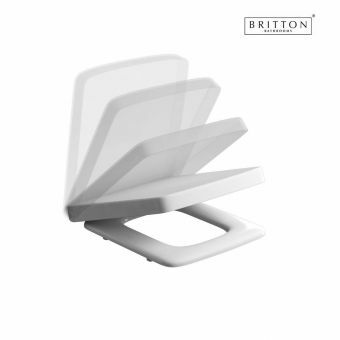 They form part of a new collection from Britton taking in all aspects of your new bathroom basins and baths. Add a sumptuous chrome monobloc tap and your new basin will be instantly transformed into a sleek and luxurious haven for washing. 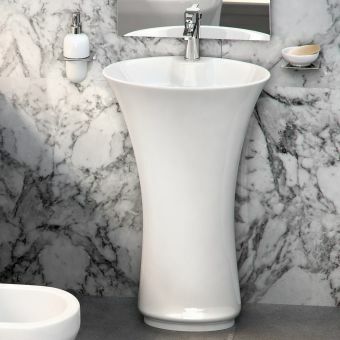 The tall basin mixer is perfect for a countertop bowl and will transform your bathroom with its understated elegance. A cloakroom mini-mixer will sit comfortably in the smallest room plus their innovative bidet mixer has a swivelling nozzle to allow maximum comfort. You can finish off the overall look using the complimenting wastes and traps, made to the same high exacting standards. The bathing area should be the heart of the bathroom, built for relaxing, and Britton’s Sapphire range has it covered. From a simple deck mounted tap set to a tall floor mounted free standing bath shower kit, all parts feature premium chrome plating and smooth engineered parts that glide as you move the controls. A thoughtful swivel hose mount follows the hose without getting twisted. Without innovation, many manufacturers will fail to move forward and their collections become dated and stale. Britton Bathrooms on the other hand constantly strive for new horizons and their Tall S48 range bears out this bold approach. Not everyone is the same height and taller people often find standard toilets difficult to use as well as people with disabilities. Britton has addressed this by introducing toilets with an extra 65mm (nearly 3 inches) making it far more comfortable for larger people to use. Don’t think ‘disabled toilet’ think cutting-edge design coupled with outstanding water-saving cisterns. 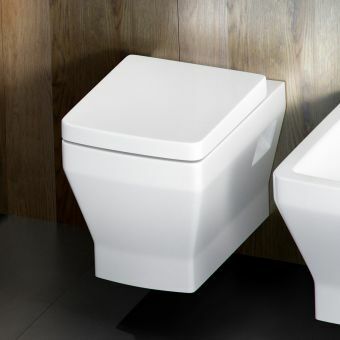 This eco approach to toilets and water use is common throughout all Britton’s ranges and in particular, the close coupled toilet pan and cistern have a standard low water dual flush of 3 or 6 litres which can be further cut down to 2.5 and 4.5 litres on site making eco flushing the way forward. Carefully matched toilet seats are soft closing with matching angled or curved edges and high-quality soft closing hinges. All Tall S48 toilets from Close coupled to Wall-hung and Back-to wall use Britton’s discreet Nano Glaze technology making them exceptionally easy to keep clean. Aqua Cabinets is an exciting addition to the UK Bathrooms range and brings a whole new dimension of a technologically advanced range of products, which are manufactured using only the finest materials, including acrylic, marble and ceramic. Aqua cabinets fulfil the demand of the typical British bathroom of a traditionally smaller space, damage which could be caused through water and the humidity, and problems that might be caused through natural UV light of colour fade, Aqua has the answer to each of these. Great attention to detail is paid to every item, 6mm safety glass shelves, five coats of paint and a full gloss finish to the cabinets to prevent chipping, rigid and solid carcases, unlike some flat pack units, battery operated lights in the vanity unit drawers which are motion sensitive, no switches and the lighting is turned off if no motion is detected after 15 seconds. 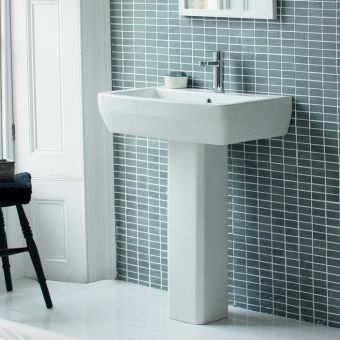 For example, a great space saving idea is the wall hung and back to the wall WC's which are growing in popularity, a perfect solution for the smaller bathroom or cloakroom, with no cistern taking up wall space. Aqua Cabinets has some trendsetting cabinets and a glass fronted unit that conceals the dual flush cistern. 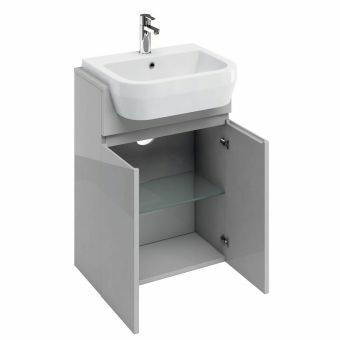 The complete range of Aqua Cabinets is now available at UK Bathrooms and can be seen on our web pages; all these and other bathroom products are at unbeatable discount prices.